I started watching Doctor Who in 1983. My first ever story was The Five Doctors, a rather confusing one for a first timer. I was aware of the concept of there being multiple actors in the title role then. What I had not been aware of at that point is multiple actors in the “same role”. 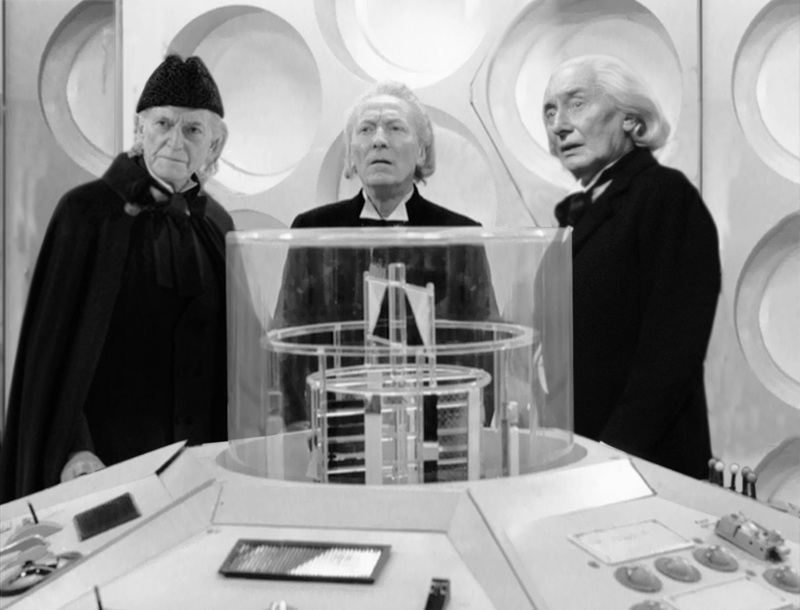 The Five Doctors was my first story, and I had two First Doctors in it: William Hartnell and Richard Hurndall. Where I was living in the US was a hotbed for Doctor Who activity in the mid ’80s. We were the first to get the ’60s Doctor Who in Lionheart syndication then, and I gobbled up the first two Doctors like I would water after being in a desert. It was gold watching these things. Previous to this, my only bits of Hartnell and Troughton were clips used elsewhere (Day of the Daleks, Resurrection of the Daleks, Earthshock, etc). After so many times cycling through Jon Pertwee, Tom Baker, and Peter Davison, I was ready for something new. I recorded all these on VHS, as they weren’t repeated much. I fell in love with the ’60s black and white Doctor Who, and the first Doctor in particular. I think that had something to do with the fact that there was way more Hartnell than Troughton stories available at the time. That’s got better in the 30 years since, but there’s still more Hartnell out there. Over the years, I came to realize that my favorite Doctor is William Hartnell. The original, you might say. When I tell Doctor Who fans that, I get a strange look. I’m not old enough to have watched the stuff when it was brand new, and I’m in the wrong country for that. I can never really pin down WHY I prefer the Hartnell stuff. Could be the missing aspect of it. Could be the different dynamic that Hartnell had than any other. I’m truly not sure why, but I love Hartnell’s performance. Sure, he had issues with health and flubs in the latter part of his tenure, but that didn’t matter. I go after any Hartnell story with gusto. Over time, we started getting additional appearances of the First Doctor, and that’s the reason for this article. Some detail on all the appearances of the First Doctor, and my memories and thoughts about them when they happened. For the sake of brevity, we’re not listing everything from An Unearthly Child onwards; this is purely after the first regeneration in 1966. 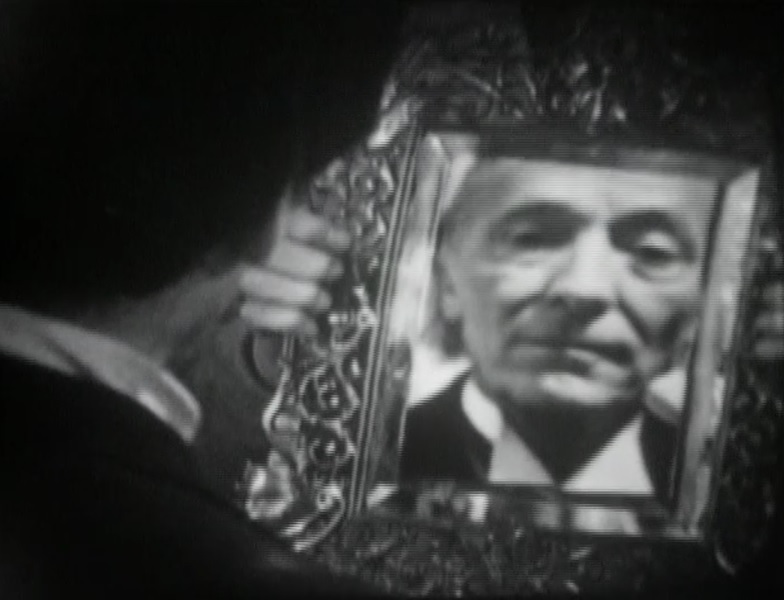 The first Patrick Troughton story had a brief appearance of the First Doctor’s image. 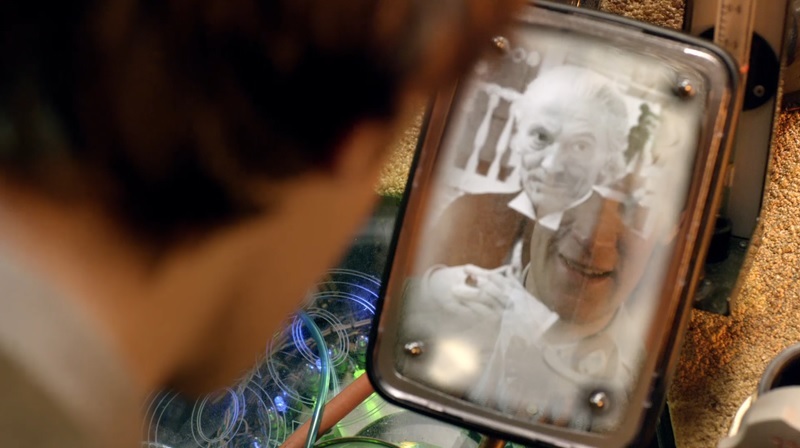 Troughton’s Doctor looked into a mirror, and we saw an image of William Hartnell. I’m a little unclear if this image was filmed FOR The Power of the Daleks, was taken during production of The Tenth Planet, or was just some random image of Hartnell’s face lifted from some other story. I don’t think I’ve ever heard that level of detail. The first of the two Dalek series with Third Doctor, Jon Pertwee had episode 3 end with the Doctor being trapped on a table under Dalek control, undergoing a mind scan. On the screen above, we saw clips of William Hartnell and Patrick Troughton. They were still pictures in the original broadcast version. Some years later on DVD, the special effects were brought up to snuff, and the clips of old Doctors were replaced with much better versions (that moved somewhat – the originals were still pictures), but the scene itself was unchanged. This was the first re-appearance of previous Doctors in Doctor Who (in the flesh). It was the only other time that William Hartnell himself made an appearance in the show beyond his original departure in 1966. As has been well documented, he was quite ill at the time (and died less than 18 months later). It was something of a minor miracle that he was in here at all. He was confined to a TV screen, and made one appearance at a photo shoot with Troughton and Pertwee. But that was it. He still had some funny lines, and this original appearance is remembered most fondly. Apparently, Hartnell loved it and felt a revived interest in work. There was also a previously used clip of William Hartnell in this story before his Doctor was “taken out of time” by the Time Lords. This clip was specially filmed for The Three Doctors, at the same time Hartnell joined Troughton and Pertwee for a Radio Times photo shoot. It was not a clip from a previously used episode, so it’s a “new clip”, I suppose. 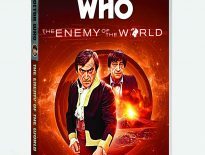 This story featured a mind battle between Morbius and the Fourth Doctor. During this sequence, we saw the previous incarnations of the Doctor (Hartnell, Troughton, Pertwee). For the record, I do not consider the Morbius Doctors to be part of canon (they could just as easily be Morbius’ previous faces). Still, I’m always a sucker for a reappearance of previous Doctors. When Earthshock was broadcast originally, I cannot tell you how many times I replayed the sequence where they showed previous Doctors with Cybermen. It was, back then, the first time anywhere I had seen Patrick Troughton’s Doctor speak or even move. 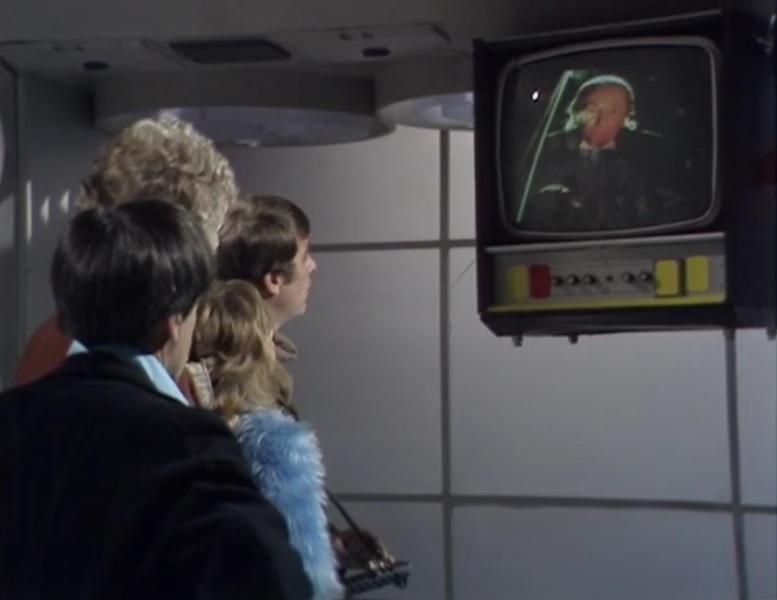 But it also included a clip that has been used multiple times in the overall history of Doctor Who. Hartnell’s “love, pride, hate, fear – have you no emotions?” quite from Tenth Planet was first replayed here. I ate it up. As previously stated, The Five Doctors was my on ramp to Doctor Who. It was the first time a Doctor had been recast and had a flesh and blood appearance in the show. 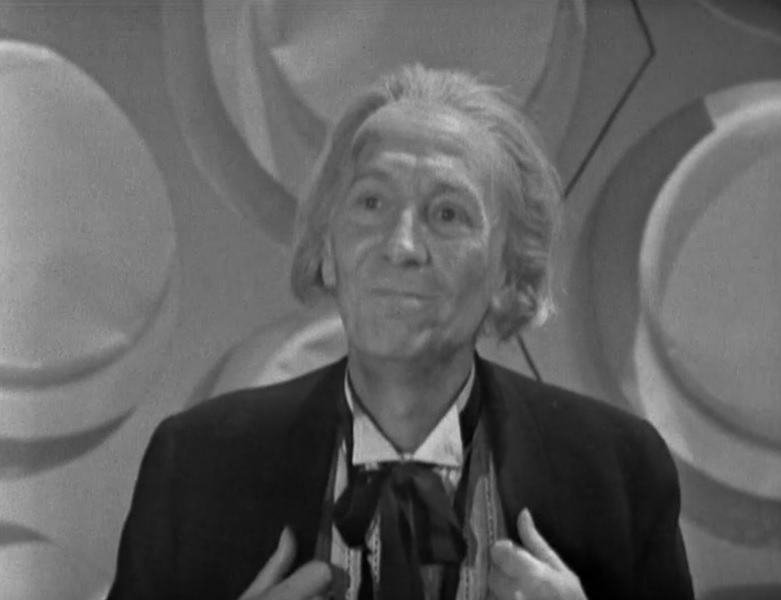 However, before we got to that, there was an actual clip of William Hartnell’s Doctor. This was part of his speech to Susan at the end of Episode 6 of The Dalek Invasion of Earth. It has been said that producer, John Nathan-Turner wanted to use William Hartnell in some way in the anniversary special, so that’s what they came up with. 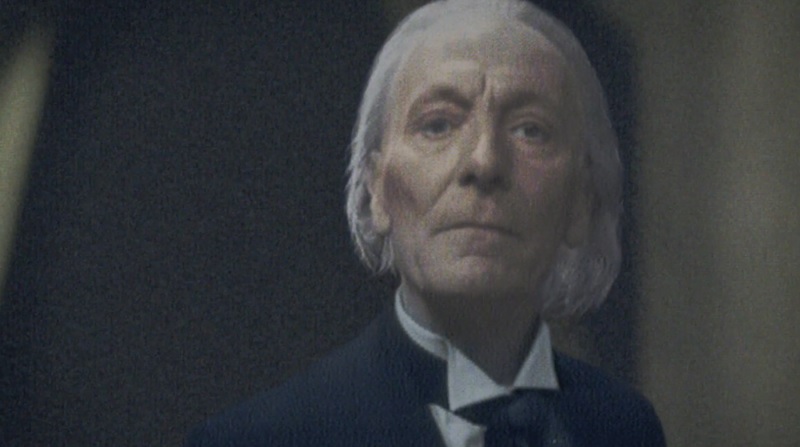 However, in the story itself, the First Doctor was played by actor Richard Hurndall. I thought Richard did a decent job with it. He didn’t really try to clone Hartnell’s performance. He basically just played a grumpy old guy. Hurndall was also the one who originated a line that was re-used many many years later in the final Peter Capaldi story. Specifically: “I’m the Doctor – the original, you might say!” He said that line to Tegan, which I thought was a comical pairing in this story. The cranky Doctor with the cranky companion. The only thing better than that would have been Tegan with the Sixth Doctor (long term), but I digress. This story was I think, for people who weren’t around for the ’60s stories, their first taste of the First Doctor. I read in a few production stories and books at the time that JN-T had planned to bring Hurndall back a couple of years later for what became The Two Doctors, but Richard himself also died within a year of this story being broadcast, so those plans were scuttled and they used Patrick Troughton’s Doctor instead. Resurrection of the Daleks took the concept of retro clip sequences to the extreme. 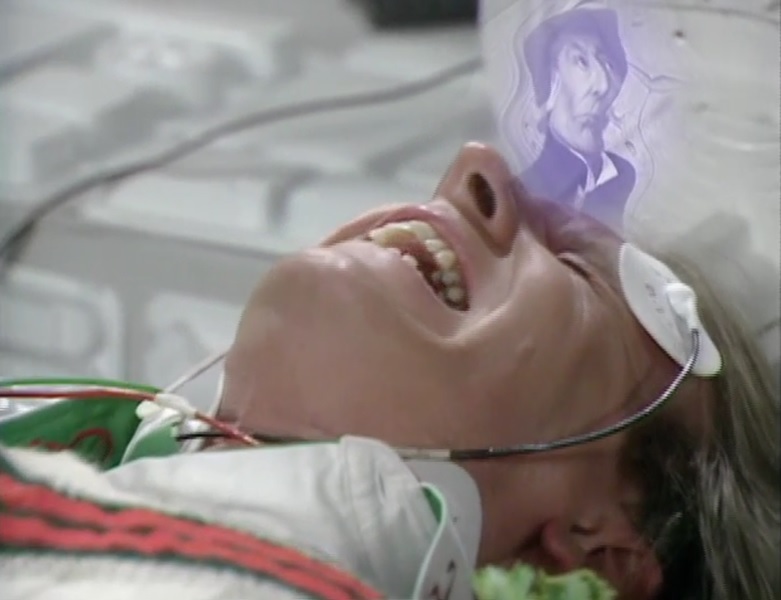 Much in the same way as Day of the Daleks did it, the (Fifth) Doctor was strapped to a table, and, via a mind wipe device, was forced to relive his past through short clips. We got to see rather short sequences of every previous Doctor and companion, going all the way back to the original TARDIS crew in 1963. This too was a goldmine, as several of those early companions I’d never seen on screen before, just pictures in books. Granted, they were on for, at most, one second IN total, but still. Poor Louise Jamison – Leela got accidentally left out of the sequence when it was being put together, and to date it has never been corrected in any re-issue. 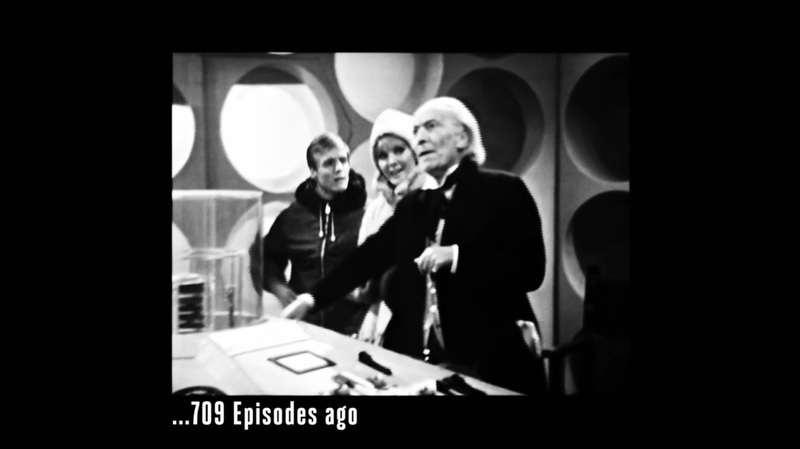 This was also the last time the First Doctor was seen on screen in the classic run of the show. It took a few years for previous Doctors to be seen on screen in the 2005 revival of Doctor Who. There were hints and references to previous incarnations, but they were never seen on screen until this story. In it, Jackson Lake believes himself to be the Doctor. He finally realizes he is not when the Tenth Doctor shows a sequence of data on a wall from what is called a “Infostamp”, used by the Cybermen. What is projected on the wall is a run through the previous incarnations of the Doctor before David Tennant. As previously stated, I love sequences like this. It did not include the War Doctor, as that concept had not been thought up yet. It didn’t take long for the next appearance of the First Doctor to show up. The first story with Matt Smith’s Eleventh Doctor had a sequence that was not unlike the sequence in The Next Doctor where there was a projected flashback of all the Doctor’s previous faces. This time for the benefit of the villain of the story; that was the on-screen reason. I suspect the reason that sequence was there in the first place was for us. I did love the scene as I felt it cemented Matt Smith’s performance as the Doctor straight away. It usually takes more than that with me, but he nailed it from the get go. This was a very short appearance, was just a single still photo, and pretty much played for comedy. 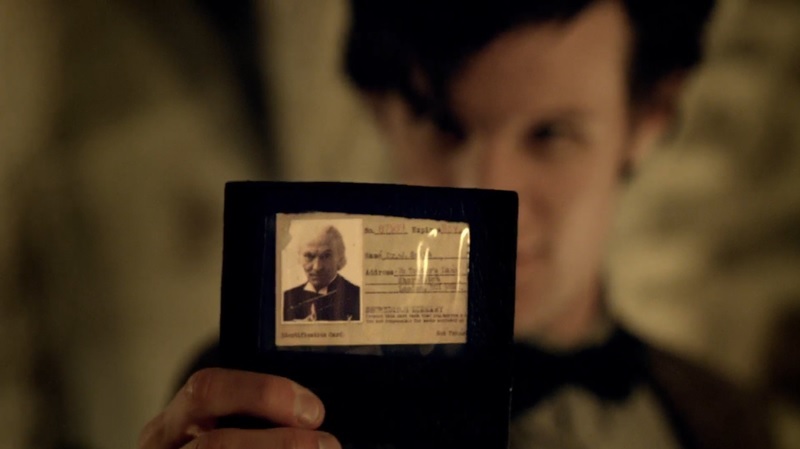 We see the Doctor show what he says is his “Library Card” to some of the Vampires of the story – only the picture on the card is William Hartnell’s First Doctor. The (current) Doctor looks at it, and has a look of disgust; the implication is that he hasn’t changed the photo in awhile. Matt Smith’s first series was a bonanza of clips of the First Doctor. There were three in the series total, this being the third. The Doctor was testing a machine that showed the true identity of whoever or whatever was scanned by it (as he wanted to it to ID the big bad of the story). 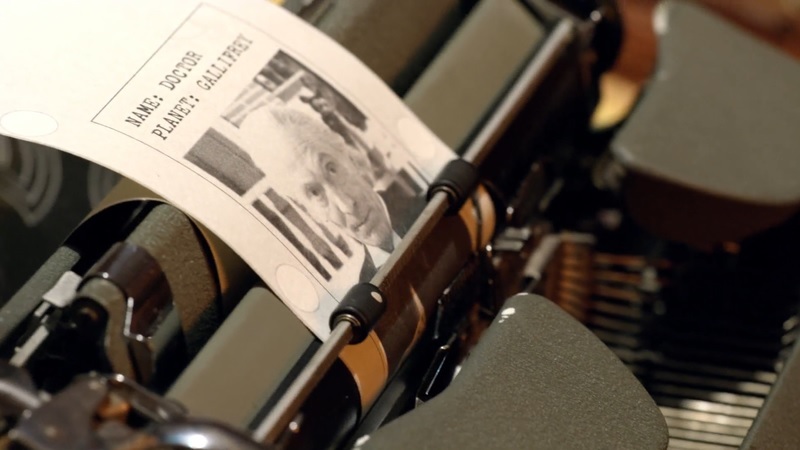 The readout showed “The Doctor”, and had a picture of William Hartnell’s First Doctor (as well as Patrick Troughton’s Second right afterwards). The short sequence with the previous Doctors did advance the plot somewhat, but was mostly silly (especially with the Eleventh Doctor sticking his tongue out). This is a super-speedy one. In The Lodger, the Doctor butts heads with Craig in order to share information about himself and why he’s there. 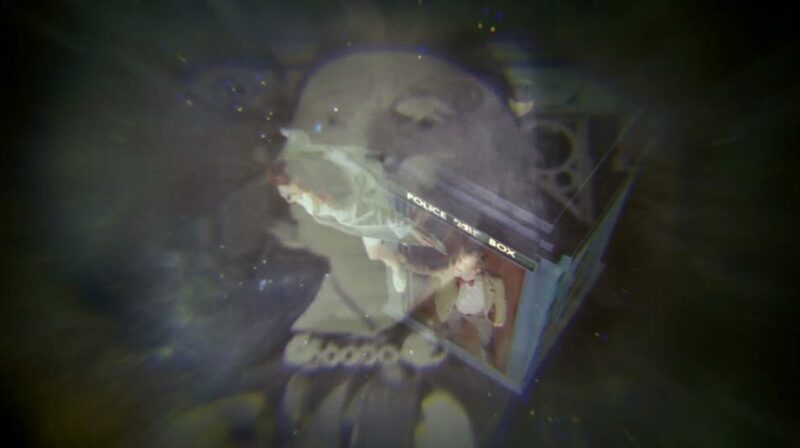 During this, we quickly see images of the previous Doctors, including Hartnell, relayed over that scene from The Beast Below with the Doctor clinging onto Amy as she’s floating in space. 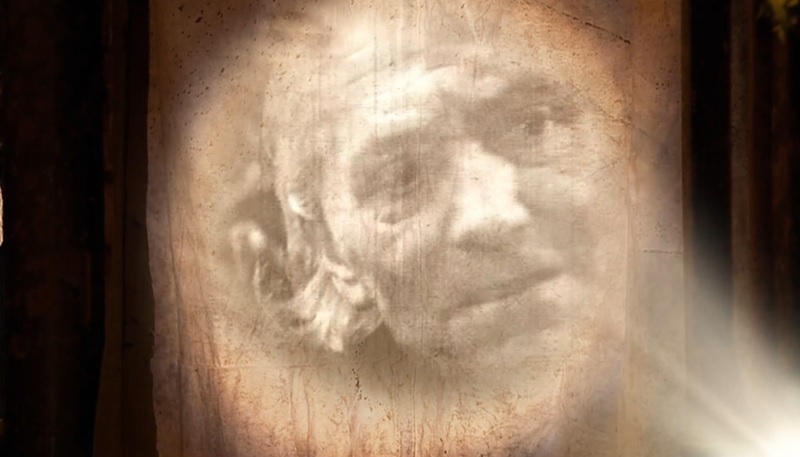 For a very brief instance, we see an image of Hartnell, followed by the Doctor’s other faces (although again, no inclusion for the War Doctor). This is inside the Doctor’s mind, shared with the Cyber-Planner. 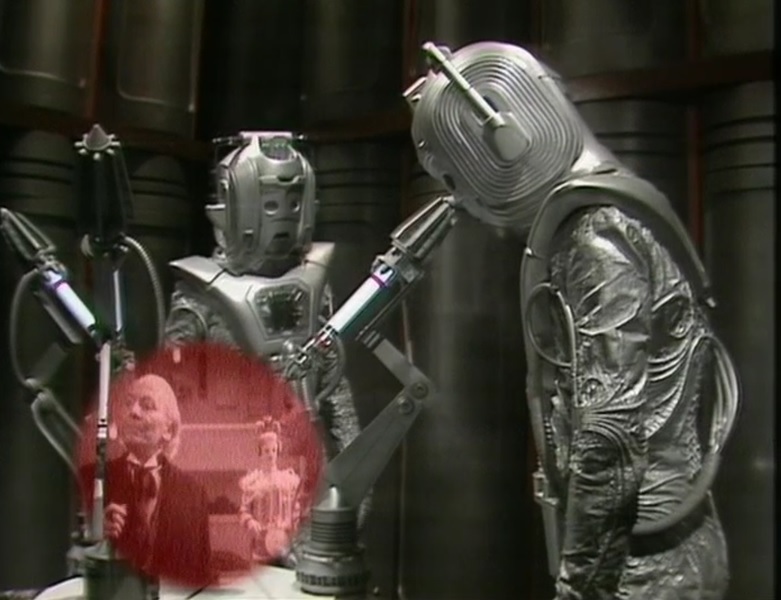 It’s the Doctor warning the Cybermen that he could regenerate and burn away any “cyber widgets” left in his body; maybe this is why we don’t see John Hurt’s Doctor. If he’d have been included, it might’ve given away that he’d got no regenerations left. This story shared something with the Monty Python Holy Grail movie. In Holy Grail, I laughed so hard at the credits, I must have replayed them about half a dozen times before I watched any of the movie. The Name of the Doctor had one of the biggest “HOLY CRAP” moments for this fan of Doctor Who: the opening sequence where we get to see the First Doctor with Susan steal a (default) TARDIS from Gallifrey, starting off his adventures. We actually get to see the Doctor and Susan walk into a TARDIS with their backs to us. Clara shows up and interacts with him, and then he turns around and talks. It really was William Hartnell, who is used in a clip from The Aztecs. He says “Yes, what is it? What do you want?” This was taken from The Web Planet: Invasion, where the Doctor is talking to Prapillus, one of the Menoptera. The sequence then proceeded to run through all the classic Doctors (even the Eighth, who is in a blink and you’ll miss it appearance). I still get chills watching this sequence five years later. 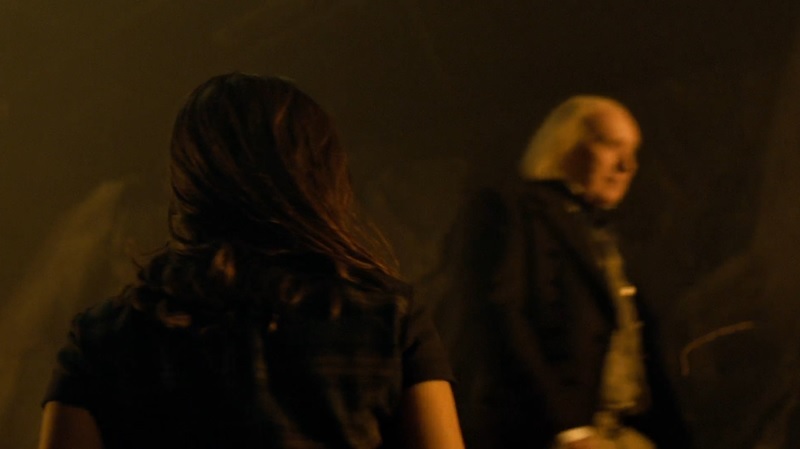 There was another appearance of the First Doctor later on in the episode when the Doctor is inside his own time-stream, we saw several Doctors running past Clara. None of them said anything, but there was a version of the original there. It was really cool to see the First Doctor again in the flesh like that. And then we get to The Day of the Doctor. The First Doctor was in this less than The Name of the Doctor, but what was here was quite epic. There’s a sequence towards the end of the episode (“No sir, ALL THIRTEEN!”) where we got all the Doctors. Most of them were just shown in a short clip on a monitor. However, the First Doctor was shown briefly operating his TARDIS. However, we get a very unique moment. The voice of the First Doctor was NEW. That dialogue (“Calling The War Council on Gallifrey: This is the Doctor”) was not from any previous William Hartnell appearance. It was spoken by actor, John Guilor. He also portrayed the First Doctor (audio only) in the Episode 4 reconstruction of the 1964 story Planet of Giants. 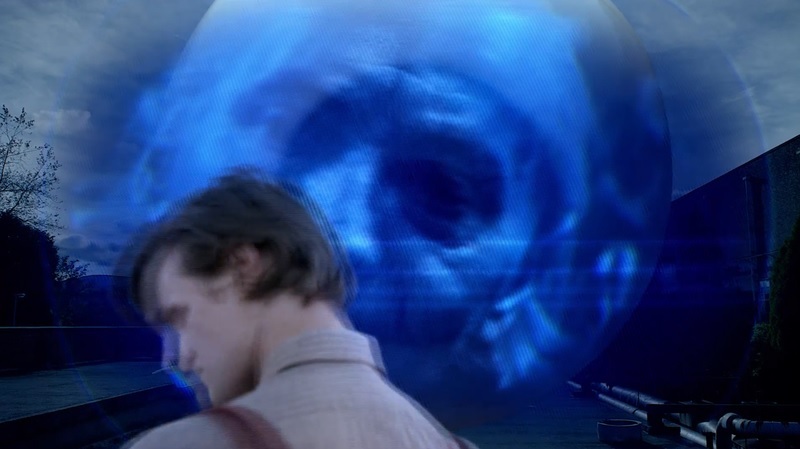 In one scene in The Zygon Invasion, we are shown a UNIT safe house. 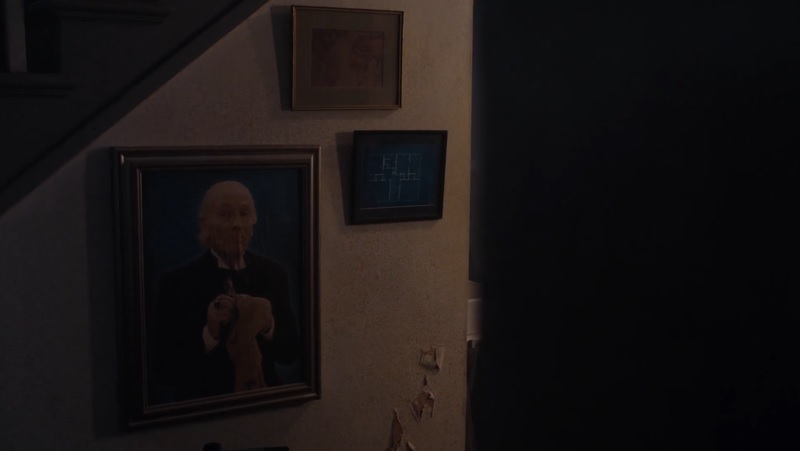 When the story first shows us the inside of the house, there is a picture of William Hartnell’s First Doctor on the wall. In the following episode, we see that it’s actually a safe, and Clara (aka. Bonnie the Zygon) opens it to find a laptop (which she believed had the Osgood Box in). Likewise, the appearance in The Husbands of River Song is similar to the blink-and-you’ll-miss-it appearance in The Zygon Invasion. 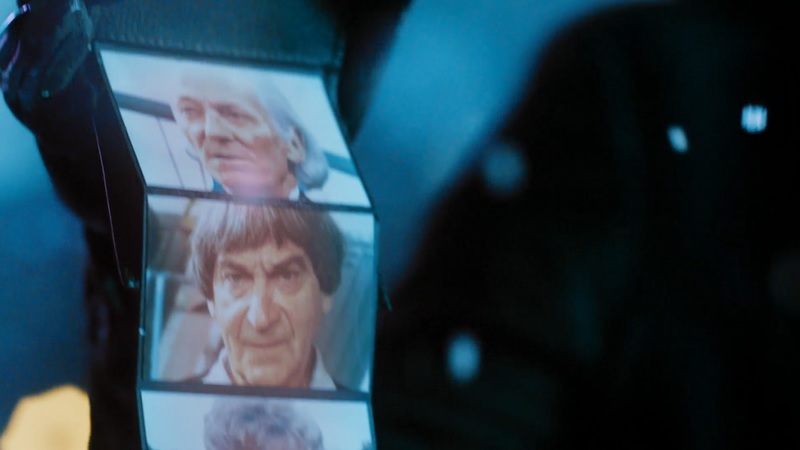 There’s one sequence when River Song is showing off photos of the various incarnations of the Doctor in photos in a wallet. The first one is obviously William Hartnell’s Doctor. This is the most recent version of the First Doctor, and what is probably considered the motherload. The story starts off showing some clips from the original 1966 serial, The Tenth Planet with the First Doctor, Ben, and Polly. 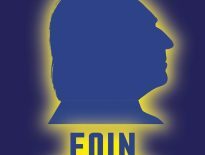 That morphs into David Bradley and the 2017 reconstruction of events from The Tenth Planet. 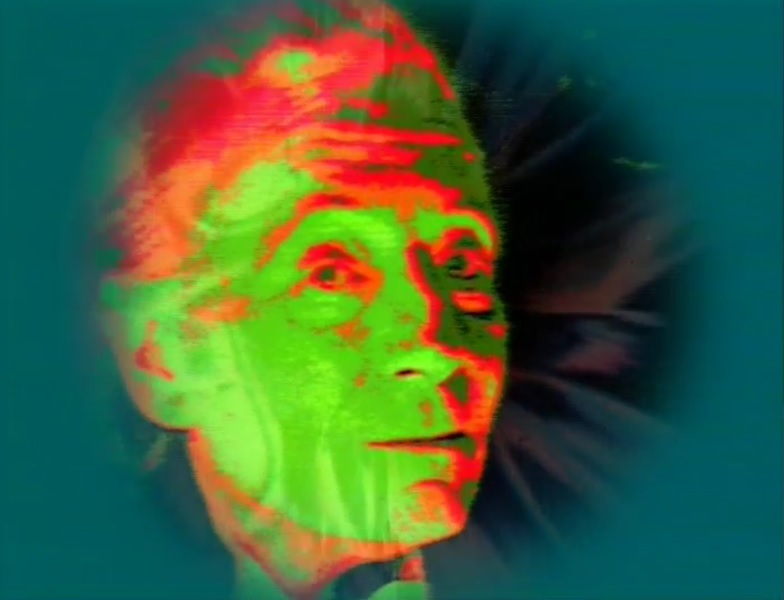 It was a pretty cool effect, as it went from low grade 480i footage to 1080p HD, where the merge was Hartnell to Bradley. If you’re reading this, I’ll wager you’ve seen this story already, but David Bradley becomes the third primary actor to play the First Doctor on television. Those three being William Hartnell, Richard Hurndall, and David Bradley. Bradley was bloody brilliant. 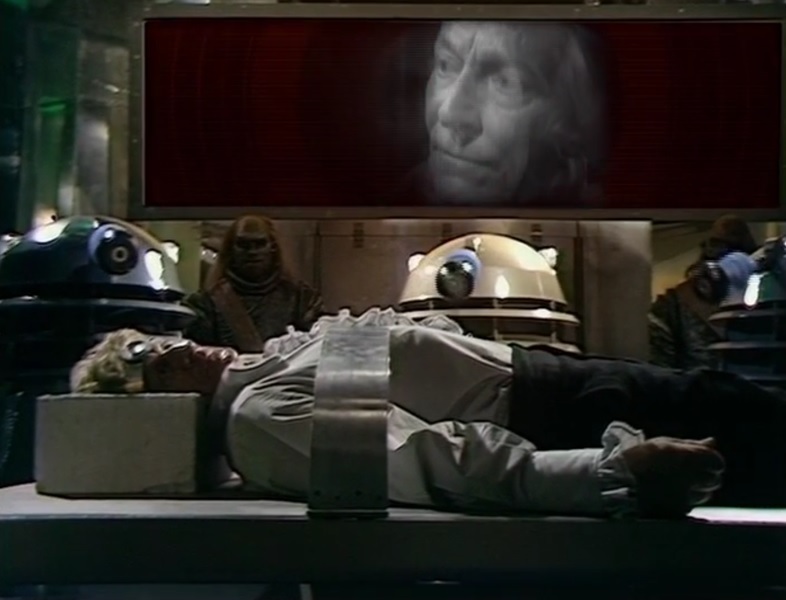 While Hurndall didn’t try to recreate Hartnell, Bradley did. Given the thrust of this story was that it was inserted into events from 1966’s story, it kind of had to mimic Hartnell’s performance. And I thought Bradley did a bang up job with it. If you saw Bradley in An Adventure in Space and Time from 2013, then this would not have surprised you. He did an excellent job playing William Hartnell in that movie, too. One thing I really loved was the use of “I’m the Doctor – the original, you might say!” That line was used before, of course; first uttered by Richard Hurndall’s variant of the Doctor in The Five Doctors special. 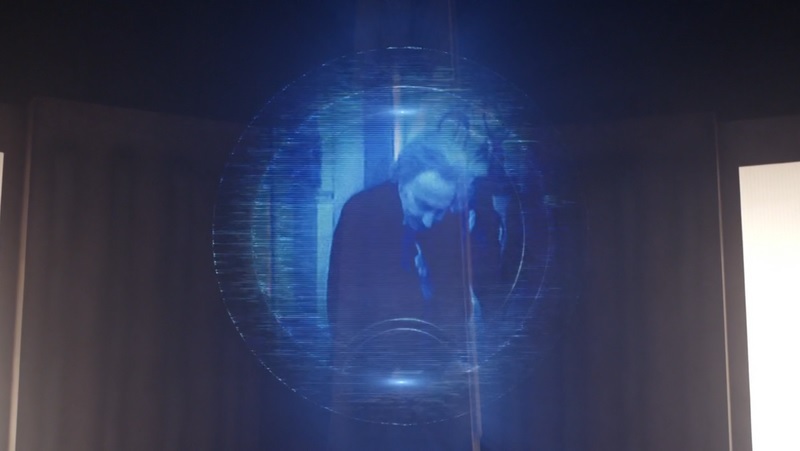 So for Bradley to echo Hurndall, who himself is echoing Hartnell is quite meta. 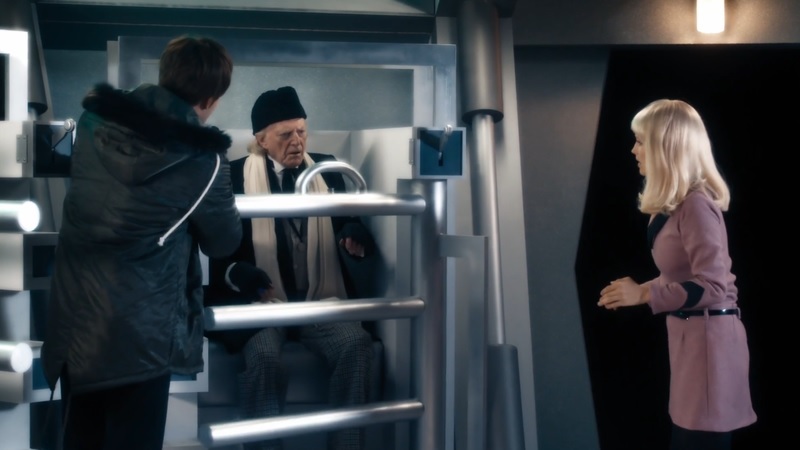 I hope that’s not the last we see of Bradley’s version of the First Doctor. That’s it for the “on-screen” (aka ‘canon’) appearances of the First Doctor. There are a few other things worth mentioning, however. 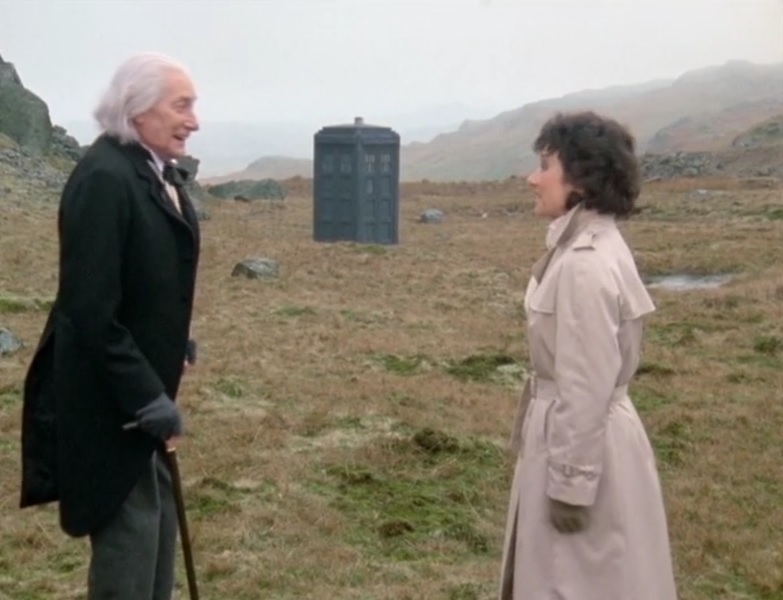 An Adventure in Space and Time – Given this was a telemovie “about” Doctor Who, I don’t believe it counts as an appearance of the First Doctor, and is not “canon” as such. Besides, all the “Doctor Who” bits in here were recreations of what transpired from 1963-1966 anyway, and aren’t actual stories. The Chase – The Chase is a proper (albeit silly in places) First Doctor story with William Hartnell in it. As part of the plot of that story, the Daleks created a cloned robot version of the First Doctor that they intended to use to take over the TARDIS. As this wasn’t ever really “The Doctor”, it goes in this “Other” list. In terms of story, it was supposed to be an exact duplicate, but it really didn’t look it to my eyes. Sorry about that, Mr. Warwick. The 1960’s Theatrical Movies – There were also the two 1960’s era theatrical Doctor Who movies, both with Daleks, and both with Peter Cushing (Grand Moff Tarkin) as “Doctor Who”. These are not canon either, but are an interesting side note for a few reasons. One, it was the first ever colour Doctor Who made. It also had Bernard Cribbins in it (later on Wilfred Mott with the Tenth Doctor). However, they were both effectively remakes of the first two Hartnell era Dalek stories. The final piece of this of course was the fact that “Doctor Who” (not “The Doctor”) was a human who invented the TARDIS. Not the same character, despite taking several visual cues from the William Hartnell Doctor. Listen – This one is a bit of an odd one. In this story, the Twelfth Doctor goes back to what we later find is Gallifrey, and to the “hut” that we are led to believe is some sort of childhood home (or at least a place he frequented when running from the Academy). It was first seen with the War Doctor in the 50th Anniversary special. This story shows us a child, which is HEAVILY implied to be the Doctor when he was very very young. That’s never explicitly stated, but this was the message being conveyed. Now, if you assume that’s the Doctor, that means that technically this boy is the First Doctor. But it’s not the Doctor as we know him (yes, HIM) on the TV show. So despite it being “technically” the First Doctor, it doesn’t count in the list above. So that’s the list of First Doctor appearances on television and movies. I’m not getting into things like Big Finish, as well; there’s too many of them. Besides, the intent here was television, not “all media” as such. 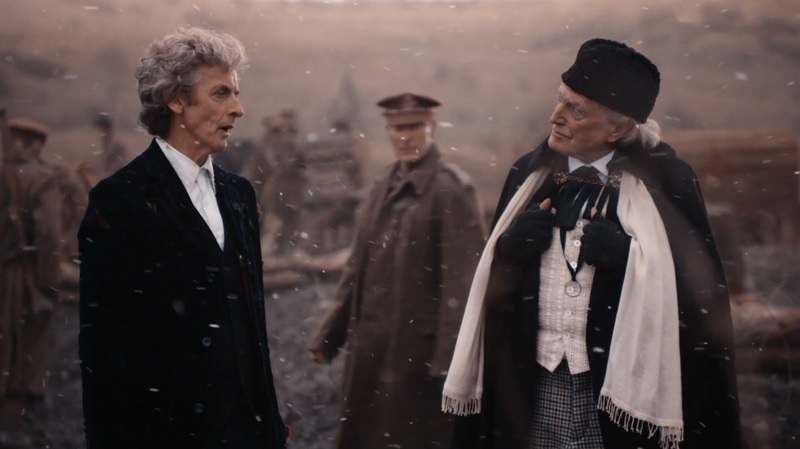 It does make me think that the First Doctor is the only Doctor that we’ve seen that many times inside the context of the show. 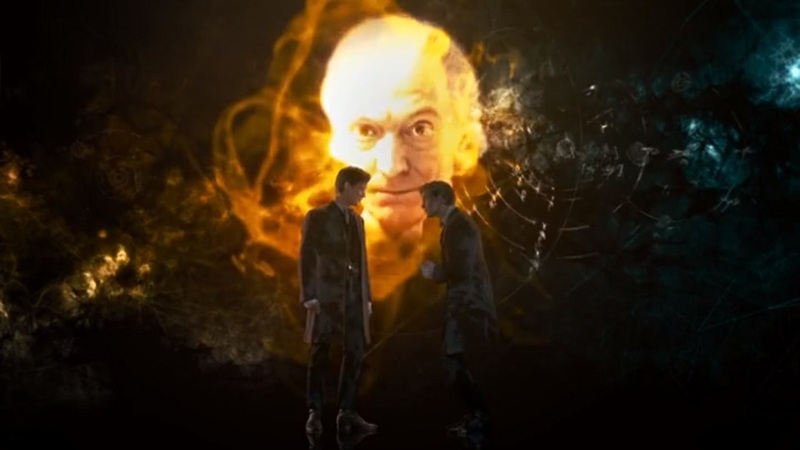 A couple of the other Doctors appear in the same segments shown above (The Next Doctor, The Eleventh Hour, etc). Image Credit: Thanks to Daniel Skorka for the wonderful featured image featuring the three First Doctors!